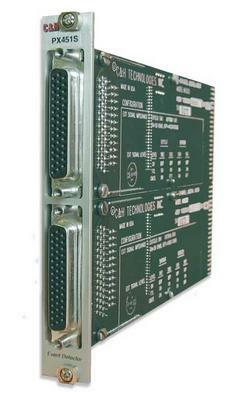 The PX451S is a 16 or 32 channel digital input module that samples and selectively stores up to 32 bits of digital data along with a 31-bit time stamp at a rate up to 5MHz. This module is an integration of a PXI Carrier and our MA205 mezzanine. See the MA203 & AMi3002 for links to manuals and software.